I write books that inspire people on their journey to make the world a better place. My name is Joyce Fields, and I was born and raised in Detroit, Michigan. I now reside in Arcadia, California. 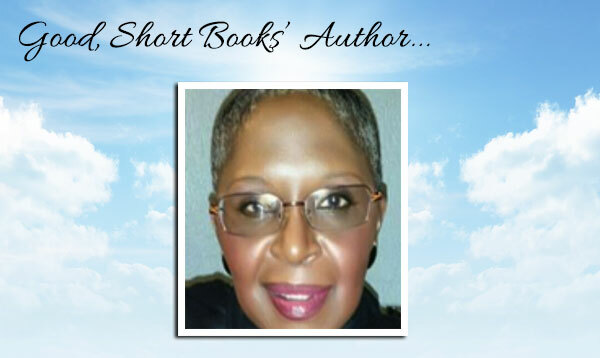 I have been in love with reading and writing virtually all of my life. I coupled my passion for writing with my mission to inspire people to make the world a better place, resulting in my authoring eight books and sharing inspirational messages with various audiences. I started my career as a stenographer at a major utility company, working my way up through supervisor of word processing, then as the office manager for an automotive advertising agency, and, lastly, as an executive assistant at a large non-profit health maintenance organization. I am also a professional proofreader. All of these positions were leading me into writing and becoming an author. In 1982 my first piece was published. I entered a writing contest for a magazine. I didn’t win, but they notified me that they still wanted to publish my article. And they paid me $100! They published the article verbatim! I took that as a sign that my writing was publishable. Subsequent to that, I wrote three op-ed columns for The Detroit Free Press. They published all three of them verbatim! I took that as another sign that my writing was publishable. I wrote my first book, Line of Serenity (a memoir), in 1997. Being the oldest of seven, in a very happy family, I wanted to capture the way our parents raised us so that the way they did it would not be lost when we all passed on. (Sadly, our oldest brother passed away on April 28, 2013.) There has never been any sibling rivalry in our family; we all adore each other! Many people read the manuscript and told me that I should publish it. The book goes from 1944 (the year I was born) through 1977 (the year our mother passed on) and includes family recipes and photographs. Recipes, because food was–and still is–an important part of my family’s fabric; photographs, so that descendants can see what their ancestors looked like and be amazed to find a resemblance to an ancestor. You don’t have to be a family member to enjoy this book! For older readers, it’s a walk down memory lane; for younger readers, it provides a peek into the past. Forty-six years ago, I married my childhood sweetheart. We have two grown sons, eight grandchildren, and three great-grandchildren. Family is everything! 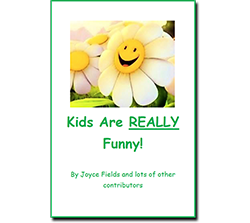 Please sign up for the free download of “Kids Are REALLY Funny!” then mosey around our site and check out all the books and other good stuff! I have a special connection to animals (especially dogs), and they have a special connection to me. 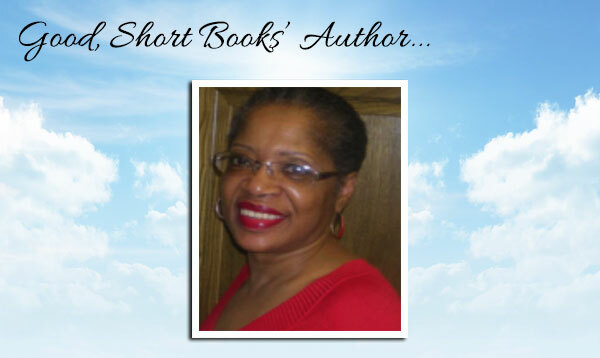 My name is Anita Jones, and I live in Detroit, Michigan, where I was born and raised. I’m the mother of a grown daughter. I’m also an executive assistant with a large, non-profit, social services agency in Michigan. When I was born, my parents brought me home from the hospital to three older siblings and a very young Doberman Pinscher puppy named Duke. Duke and I grew to be very close. Best friends. Duke is responsible for my being a great dog lover! I now have dog-guardianship over my 16th dog, Shadow, whom I found on the street back in 2007. He was about a year old, weighed less than 40 pounds and was nothing but skin and bones! I fed him and took him to the Michigan Humane Society. I told the shelter representatives that I wanted to adopt him if no one came to claim him. After about a week, I got a call from the Michigan Humane Society informing me that I could come and pickup my dog. I named him “Shadow” because he’s a black Lab, and boy does he live up to his name! He follows me everywhere. Shadow will be eight in 2014. Did I mention the birds? I have a few bird feeders in my back yard. It’s amazing to watch them, especially in the Spring and Summer. I get quite a variety of birds visiting my feeders and eating the seeds that I toss on the ground. I have two male pheasants that are regular visitors to my backyard. I’ve named them “Phil” and “Phineas.” Believe it or not, they actually will come when called (if they’re within earshot of my voice!) It is truly something to see!